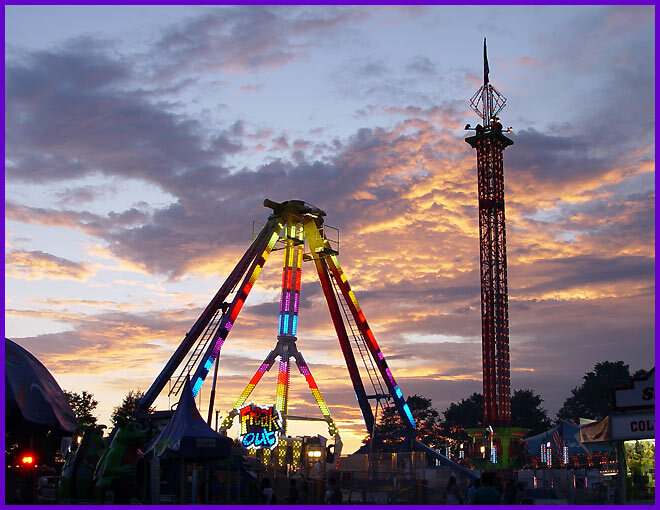 The brightest ride on the Carnival Midway, you cannot miss the FreakOut! 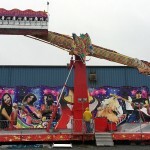 Only the bravest of patrons with the toughest stomachs are able to handle this ride. 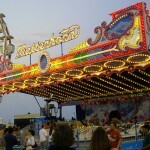 Patrons swing and scream over the midway. This giant pendulum masterpiece swings riders up to 127 degrees while revolving at a speed of up to 15 rpm’s. Height Requirements: Over 52” This is a High Speed -spinning ride with strong front to rear and side to side forces. Riders must sit upright, must be able to fit within the over-the-shoulder restraint and hold onto the restraint during the ride. Riders must ascend/descend stairs at the entry and exit and be able to step up into the seat. 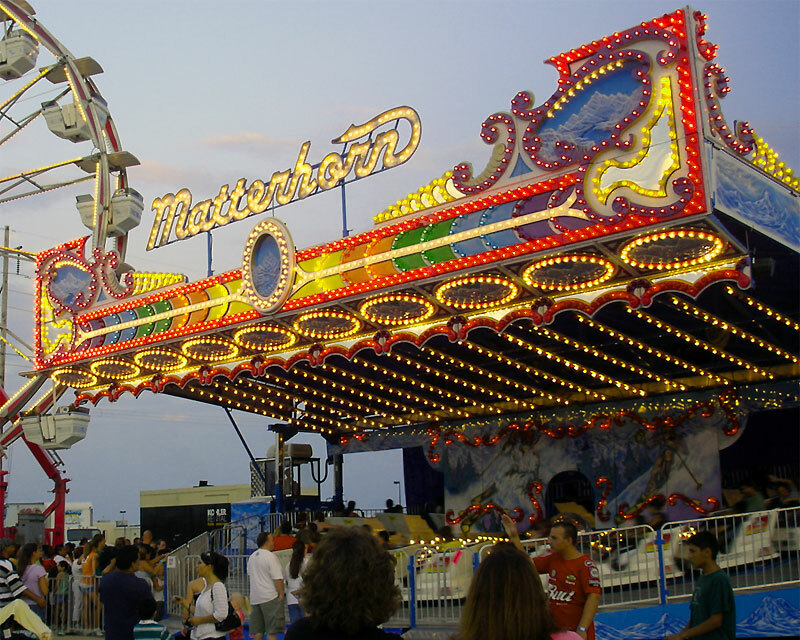 Spinning at ll.5 RPMs the Matterhorn is a ride that can make anyone’s head spin. Fly through the Himalayan Mountain themed ride both forwards and backwards. Height Requirements: Over 48” Riders must ascend/descend stairs at the entry and exit. Riders must sit upright, and be restrained by a lap bar and hold onto the lap bar during the ride. This is a high speed spinning ride with strong centrifugal forces. Larger Patron must sit on the outside. Swing in an Egyptian themed boat. 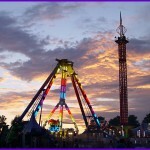 This ride swings high up into the air as the patrons on the other side of the ride watch you scream your heart out! The Pharaoh’s Fury is a giant swinging ship that swings passengers 50′ in the air. You can’t find this type of swing at any old city park! This ride was Made in the USA by Chance Manufacturing. Height Requirements: Rider must be Over 48” Riders will ascend to a height over over 50 feet and free fall back to the platform. Riders must ascend/descend entry and exit ramps. 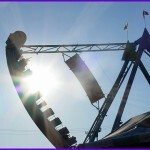 Riders must be restrained by a lap bar and hold onto the lap bar while the ride is in motion. 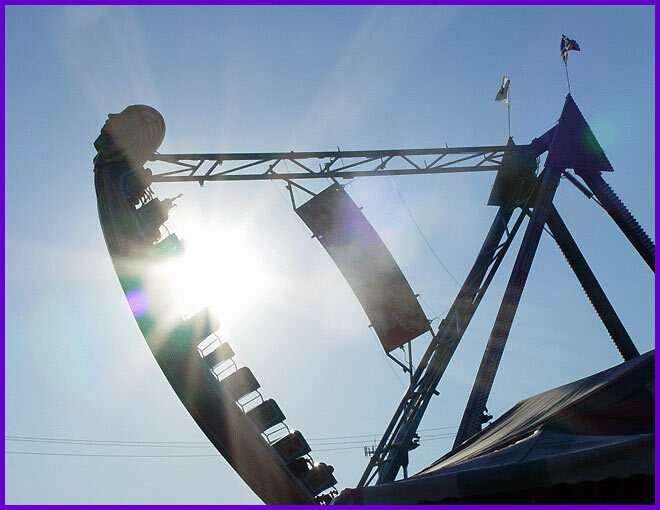 Get your groove on as you rock out riding through the air as you glide up 60 feet high. 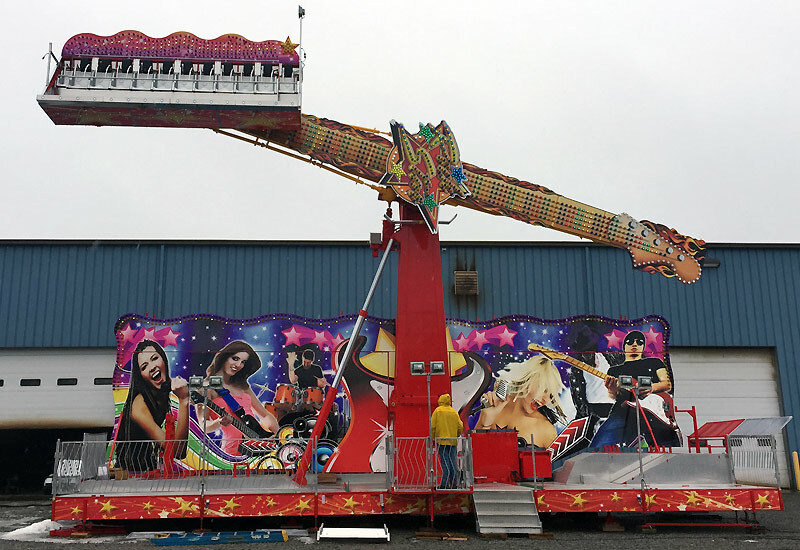 The Rock Star gives riders a unique free-fall experience as the carpet whisks towards the ground. Hope you aren’t afraid of being stopped on the top! This ride mesmerizes even the toughest and bravest of riders. Height Requirements: Riders must be Over 42” to ride Riders must sit upright and alone. Riders must fit within the over the shoulder restraint. Riders must have full control of their arms and legs.